The Rebel Sweetheart. 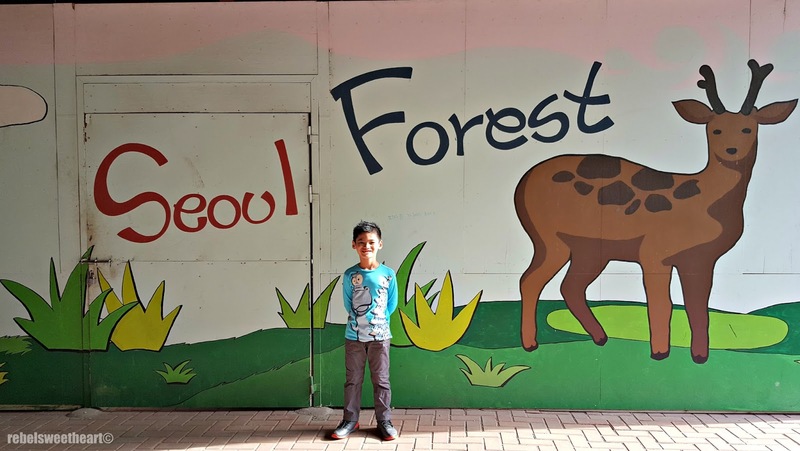 : Seoul Searching | Seoul Forest. 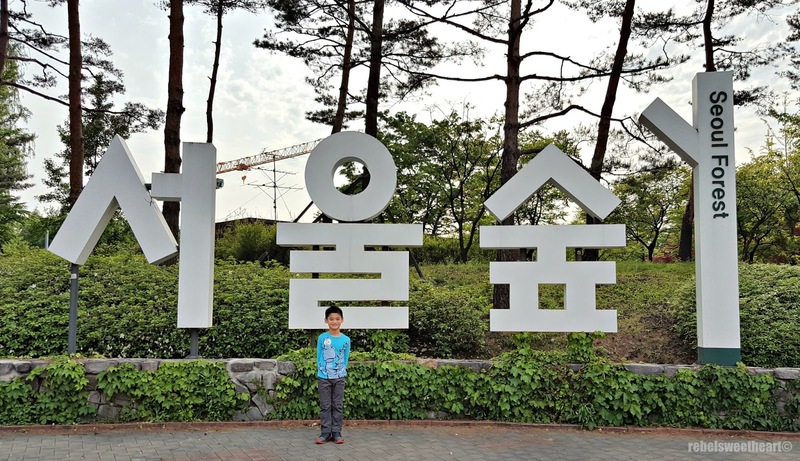 In South Korea, May 5 is declared as Children's Day, one of the eleven official holidays in the country. On this day, parents give presents to their children and spend time with them by taking them to zoos, museums, playgrounds, and other child-friendly venues. 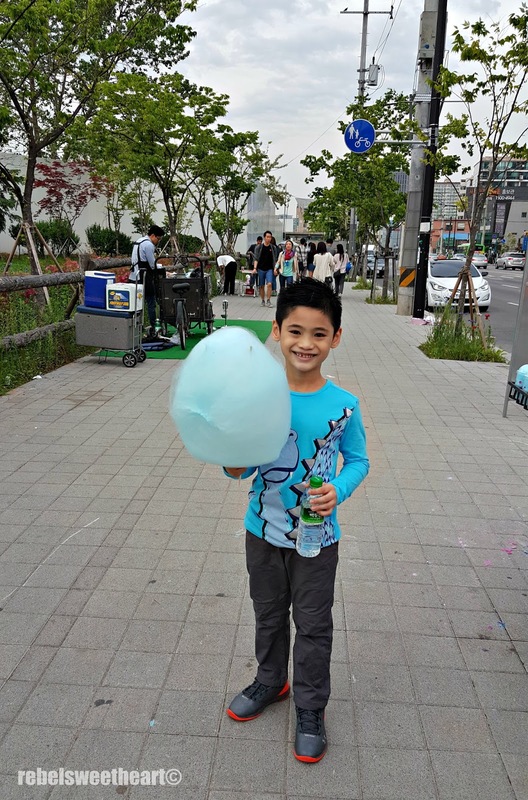 We had the chance to celebrate this foreign holiday yesterday - a first for us, since we don't have Children's Day in the Philippines. 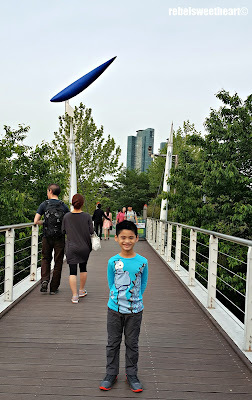 I originally planned to take Yue to the Children's Grand Park, a popular family destination during Children's Day, but I had been warned by my Korean friend that we might not be able to fully enjoy the park as it would most likely be jam-packed. I took her word for it, so I took Yue to nearby Seoul Forest instead. 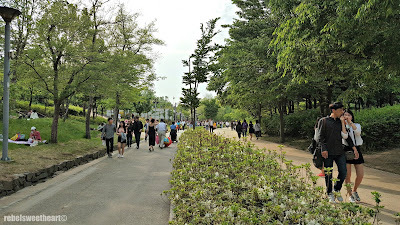 I anticipated that the place would be just as crowded, but at least it would not be a waste of bus/subway fare since Seoul Forest is just a fifteen-minute walk from where we live. The third largest park in the city, Seoul Forest was established to satisfy the people's desire to have more green spaces and recreational places in Seoul. 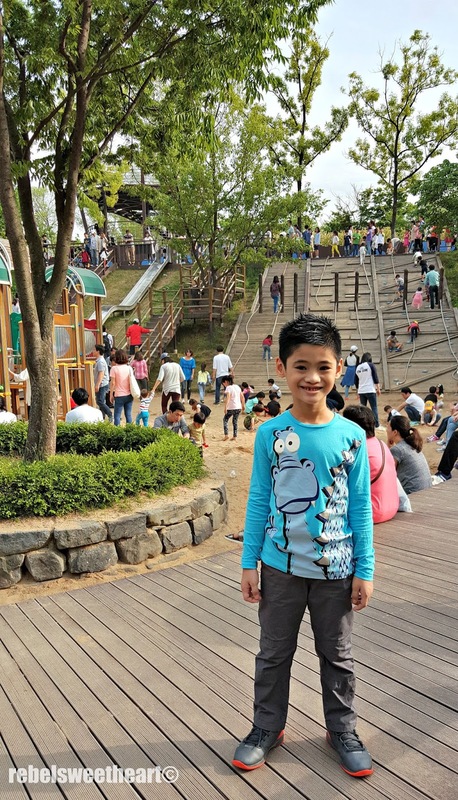 The park was officially opened in June 2005, and has since been a popular destination for both tourists and locals. Lovely trees surrounding the car park. Spread across 300,000 pyeong (approximately 1.16 square meters) of land, Seoul Forest consists of five parks each with different themes. because so many people were looking at it.). The Cultural Art Park, located at the heart of Seoul Forest, has leisure and sports facilities and an outdoor stage where cultural events can be enjoyed. 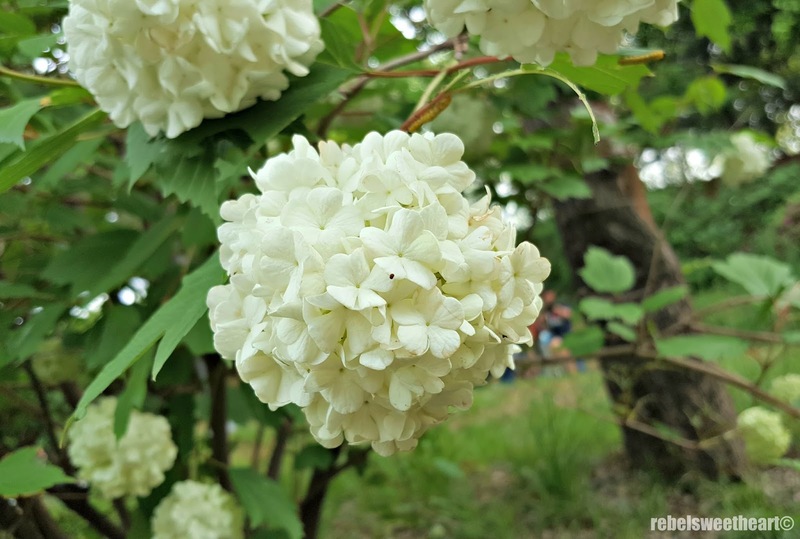 This area is a well-balanced space with enough shade and foliage and lots of trees of flowers, making it the perfect spot for kids to play or ride their bikes. 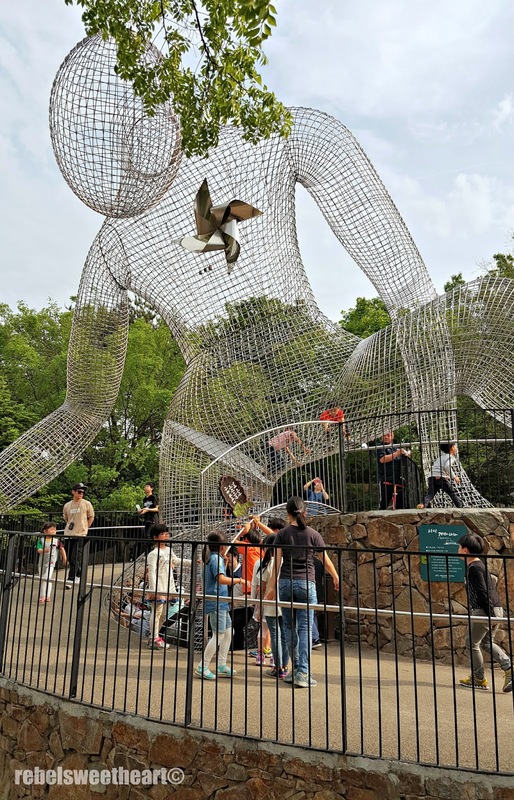 Artwork at the Children's Playground. At the Ecological Forest, visitors can observe wild animals up close. 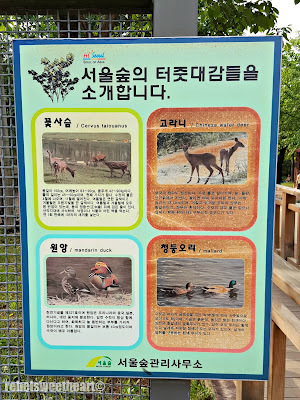 This area is home to about a hundred wild animals, including ducks, mallards, elks, chipmunks, and deer. Off to the Ecological Forest. 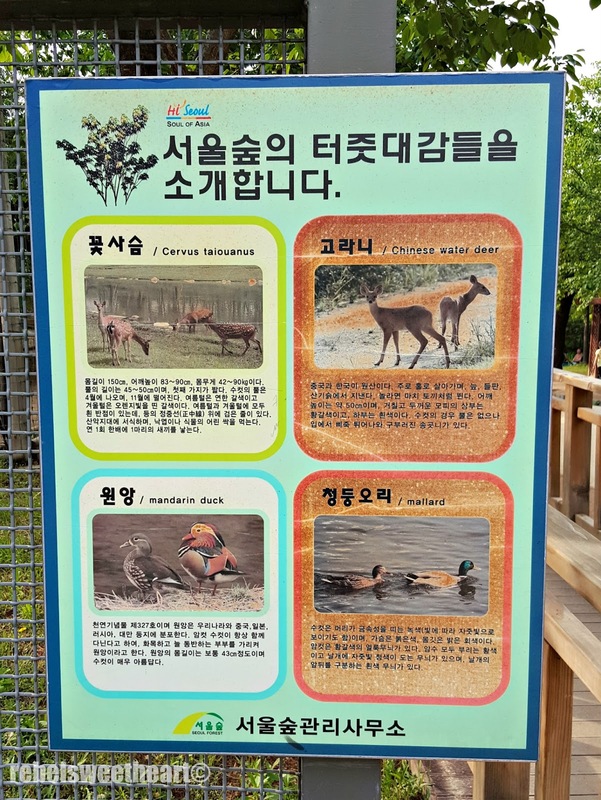 Some of the animals living at the Ecological Forest. 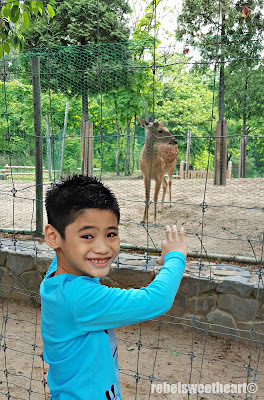 You can actually feed the deer from your hands, but only with the food that can be bought from the vending machine located near the Deer Corral entrance. 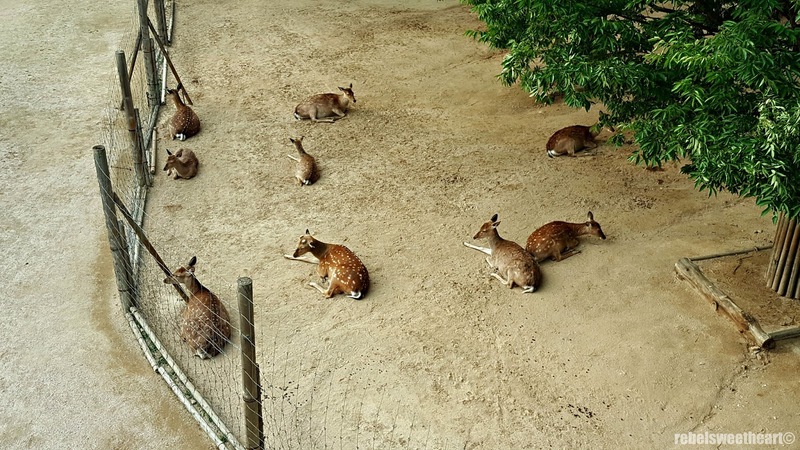 A cup of deer food costs 1000 won. 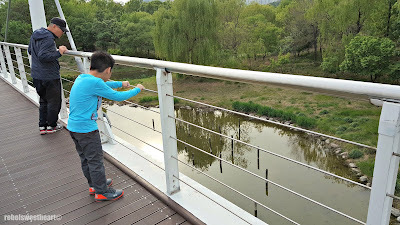 Trying to find ducks in the pond. 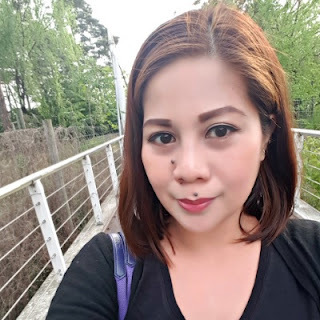 Yes, it was windy outside. 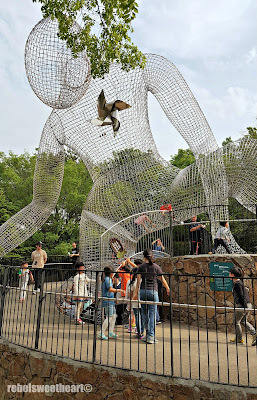 Artwork at the Hill of Wind. Viewing the herd from the footbridge. 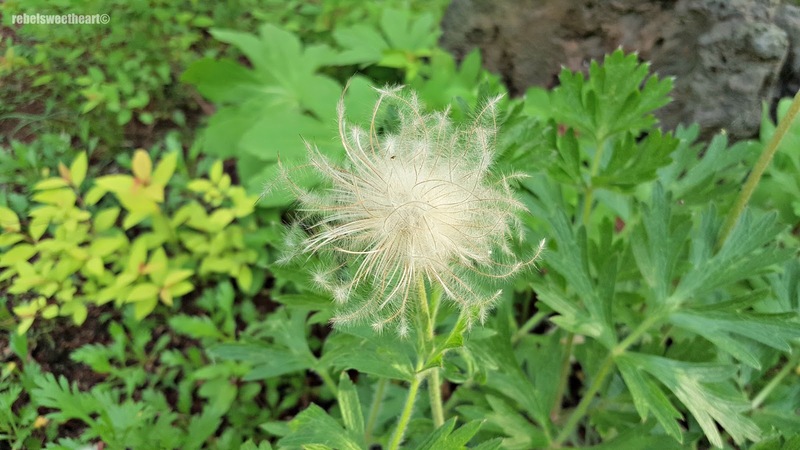 Now if you or your child is into insects and butterflies, then the Nature Experiential Learning Center is right up your alley. 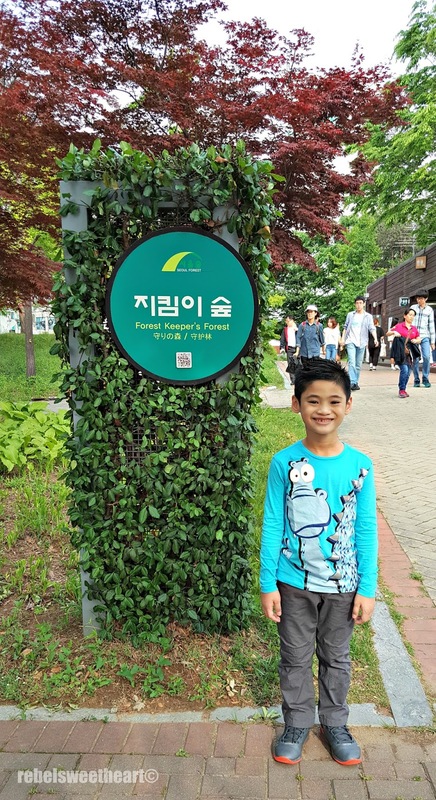 This section of Seoul Forest features a botanical garden, an insect garden, and a butterfly garden. Take note that the Butterfly Garden closes at 5:30 pm. Forest Keeper's Forest, which leads all the way to the Parking Lot. Pretty flowers at the Nature Experiential Learning Center. 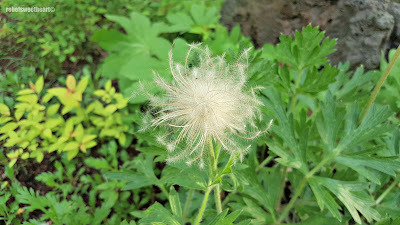 I can't remember what this is called, but it's lovely nonetheless. The entrance to the Butterfly Garden. It was already closed when we arrived. 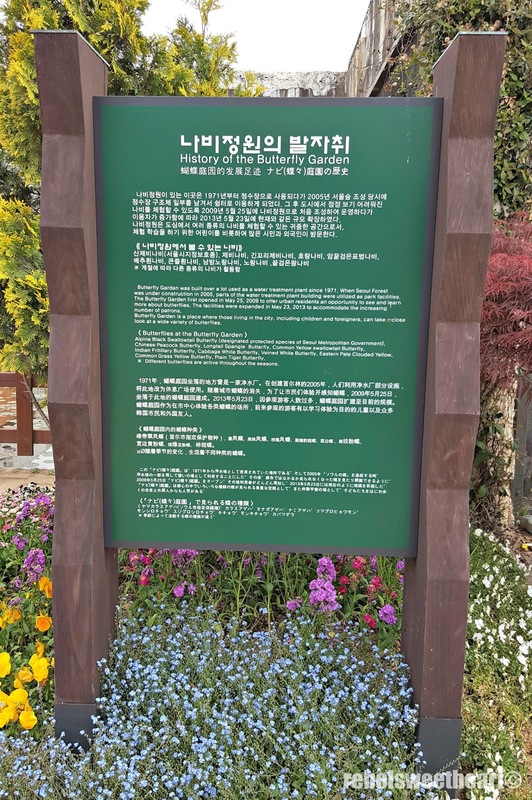 The marker tells about the history of the Butterfly Garden. 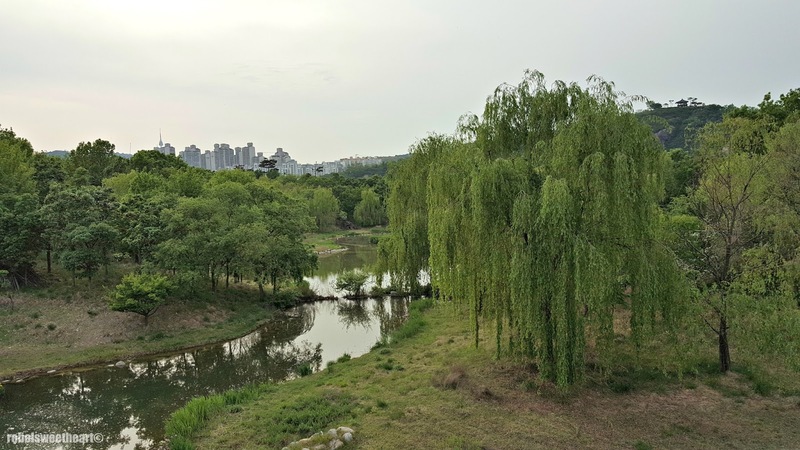 The Wetland Eco Garden, on the other hand, makes use of the local reservoir's natural environment. 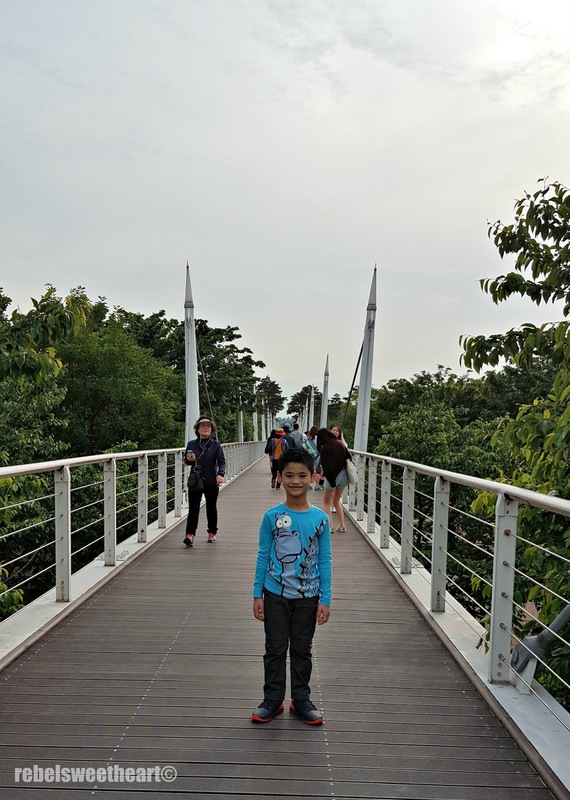 Here you can find the Environmental Playground, the Marsh Plants Garden, an Eco Learning Center, and a Bird Observatory. Some of the bird species that you can find in this area. 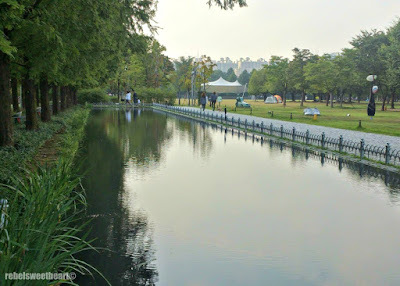 Finally, at the south end of Seoul Forest is the Han River Waterside Park. Here, visitors can take a scenic cruise of the Han River from Yeouido or Jamsil, or enjoy a cycling course which stretches over the whole park. 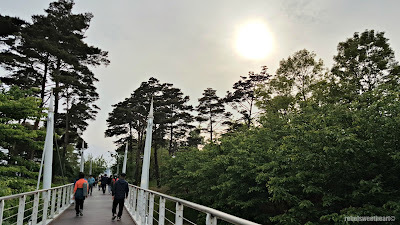 At the far, far end of this footbridge is the Han River Waterside Park. 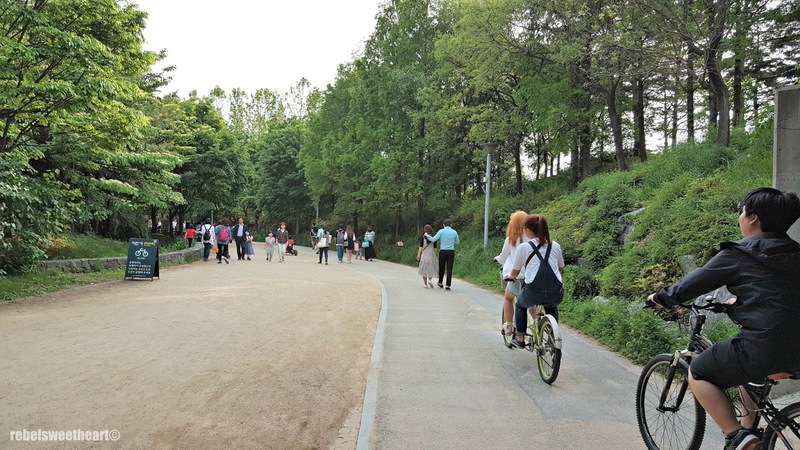 Bikes are a common sight at Seoul Forest. 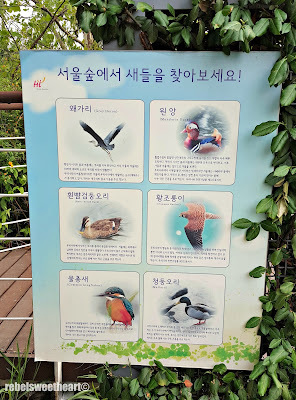 Admission is free at Seoul Forest, and the place is open everyday throughout the year. 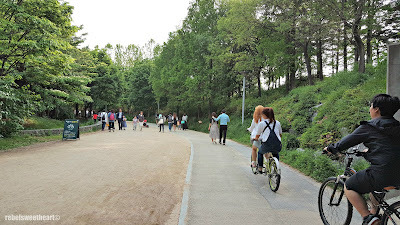 Bikes can be rented for a fee, around 3000 won if I'm not mistaken. 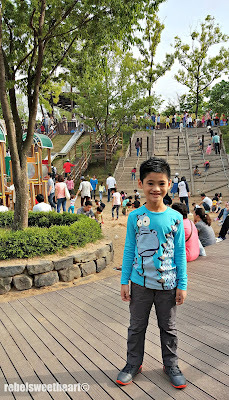 There are convenience stores inside the park, but you can choose to bring your own food if you're going on a picnic. Alcoholic beverages are not allowed, though. 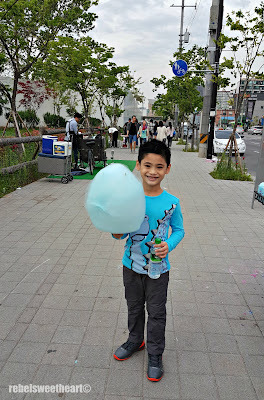 Capping our visit with a huge ball of cotton candy, 3000 won. 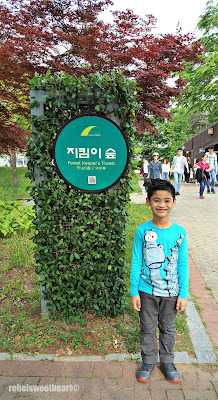 To get to Seoul Forest, take bus 2014, 2224, 2412, or 2413 and alight at the Seoul Forest stop. Or you can take the subway and alight at the Seoul Forest station, Bundang Line Exit 3 or Ttukseom Station Line 2 Exit 8. That's an awesome place. 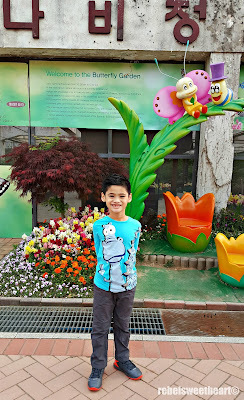 It's so nice that they have a children's day, I wish we have that here in the PH as well. It's a great way to show our kids how much we appreciate them! That is absolutely beautiful! I love the variety of things to see! 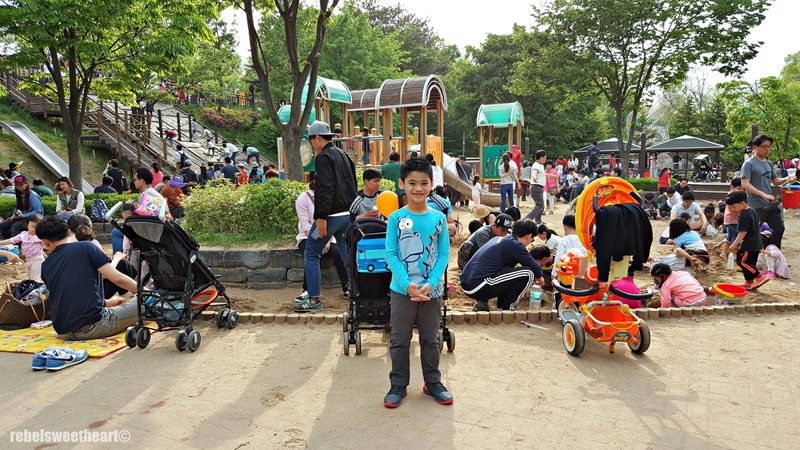 Clearly Seoul Forrest is a safe haven for children to enjoy nature without worrying about bugs or that the animals may be hungry for human food. Lovely Photos too! You have some nice shots! 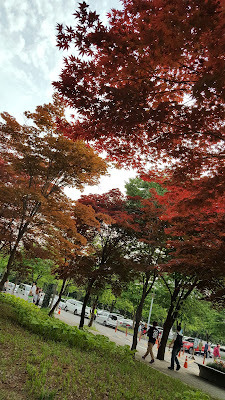 I've never been to Seoul but I've always wanted to visit their more natural places such as this.